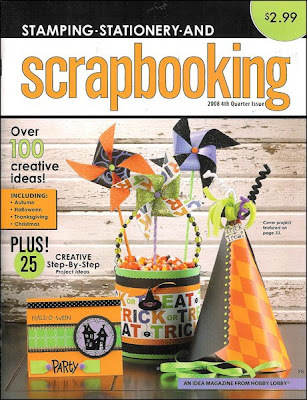 It's a sad day for sure, but the Scrapbooker Online is closing its doors. Be sure to stop by and check out the huge discount being offered on remaining supplies. *Price in cart reflects discount. Limited to in stock merchandise only. Not valid on furniture, gift certificates, or SBO classes. No backorders! While we do our best to keep the inventory accurate if an item is out of stock a full refund will be issued for that item and you will be notified at the time of shipping. Free Shipping for all orders over $100! Ok, that title just cracks me up! For the new challenge at Caardvarks, we're gathering inspiration from a photograph...create a card that is inspired by this photo. Upload it to the Caardvarks Flickr Gallery by December 3rd at Midnight PST for a chance to win a spot as our Guest Designer for the Caardvarks 2009 kick-off challenge on January 1st! 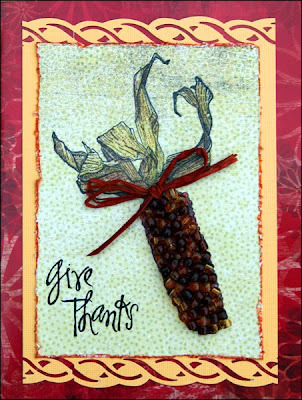 We'll be choosing several Guest Designers to help us begin a creative 2009 with a card challenge.To find instructions on posting to our Gallery, click here. Good luck! My card features an OLD stamp that was just gathering dust. After some hand coloring I knew that I wasn't going to be happy with just that. 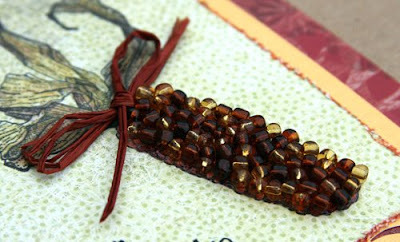 Something bit me to dig deeper in my stash, and I came up with some wonderful tiny amber, rust and brown beads. I glued each one on individually using Glossy Accents, turning each bead to the side to make sure that the hole did not show. It was piddly work, but totally worth it! Can't wait to see what you make. Sharing time again! 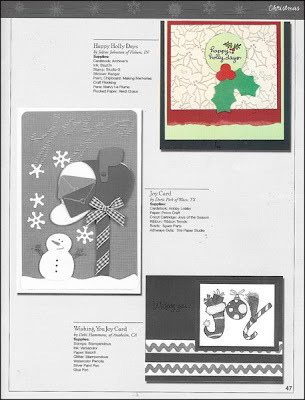 Here are the projects that I had published in the Fourth Quarter 2008 issue of Creative Concept's magazine, available at Hobby Lobby stores. Click on each photo for a closer look! I experimented with flocking several months ago, and this card was one of my examples. The holly paper came pre-flocked, so they matched up perfectly. Lots more projects are on the way! Since I was away in Pennsylvania helping my mom recover from open heart surgery, I was without internet (is that even legal?) and unable to post the new (Some) Assembly Required November challenge. Better late than never I guess! 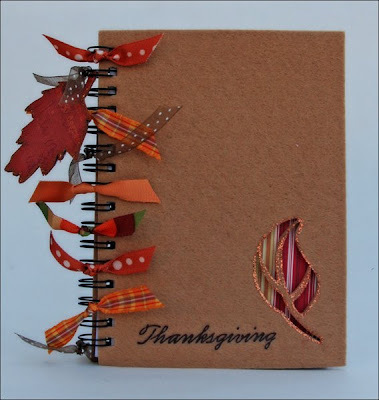 With Thanksgiving on the way, we decided to alter notebooks with a Thankful theme. Link us a photo of your creation in the comments section of the SAR post or email us a photo by midnight, November 30th. On December 1st we will randomly draw a winner for a Making Memories "Noteworthy" prize pack including papers, a journaling notebook, tiny alpha stickers, glittered flower stickers and a few other surprises! How exciting! Here is my first official project as a new Say It With Letters Design Team member. 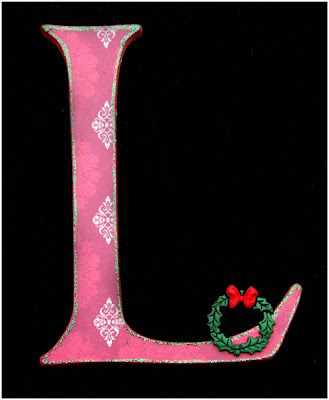 This new Fancy Noel set of letters was so fun to alter. I was inspired by the graceful curves of the N and the clean lines of the other letters. 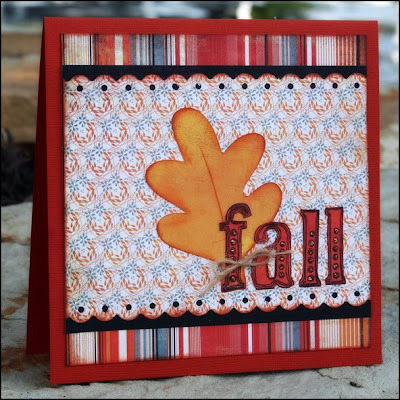 For many of my altered letter projects, I paint all the letters the same base color regardless of what patterned papers I am going to use. For this set, I painted the letters to match the main color of each paper - two red, one ivory and one green. I love the end result! The papers are from the new Little Yellow Bicycle "Sharon Ann Christmas Magic Collection" which help accentuate the elegant feel of this graceful font style. 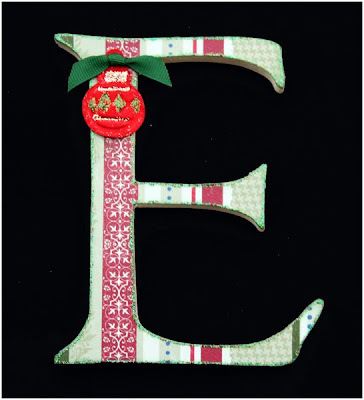 A few simple embellishments finish this set of letters - they are ready for holiday decorating or gift giving! 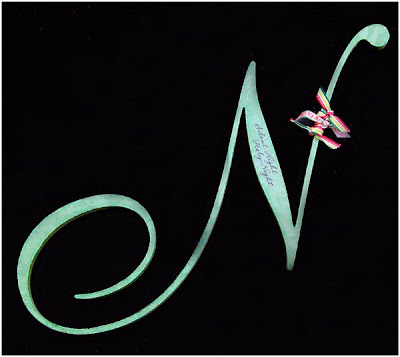 Each letter is outlined with Holly Stickles which helps unify the classy look. 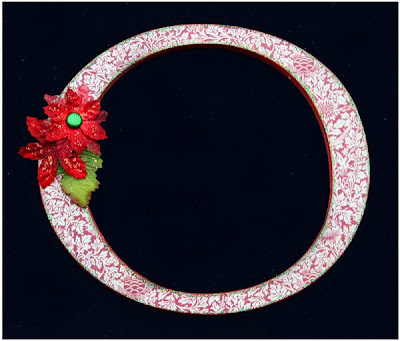 Be sure to check out Damboise Designs online store for tons of new holiday letters, shapes and kits! It is with sadness that I share the news that Scrapbook Corner is closing. I have been teaching there for about two years. Several store designers have joined forces to create an exciting new business called Our Creative Outlet. 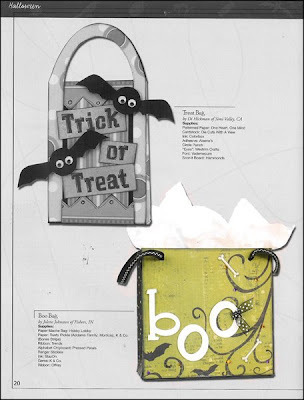 Our papercrafting projects are now being sold at Logan Village Mall in Noblesville, Indiana. You can also check out our blog and contact us for custom orders or to purchase items featured on the blog if you are not an Indiana local. We'll be happy to ship projects to you! We're cuckoo for cocoa at Caardvarks! 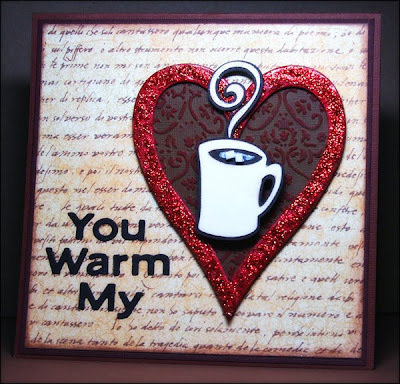 This challenge is about *NEW* cards made with chocolate - the color, the food and drink, or both! Check out the new uploading instructions at Caardvarks and submit your card(s) by midnight on November 18th. My card uses some fun supplies. The mug and steam come from the Christmas Cheer Cricut cartridge. The font is QuicKutz Moonlight. 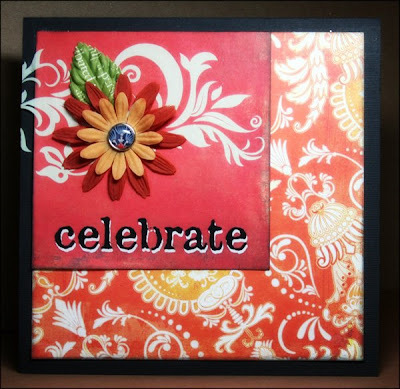 It also uses two of my favorite scrap products in the world - Ranger Stickles and a Cuttlebug embossing folder. You can find nearly all of these products at Scrapbook Express. Can't wait to see your chocolatey creations!